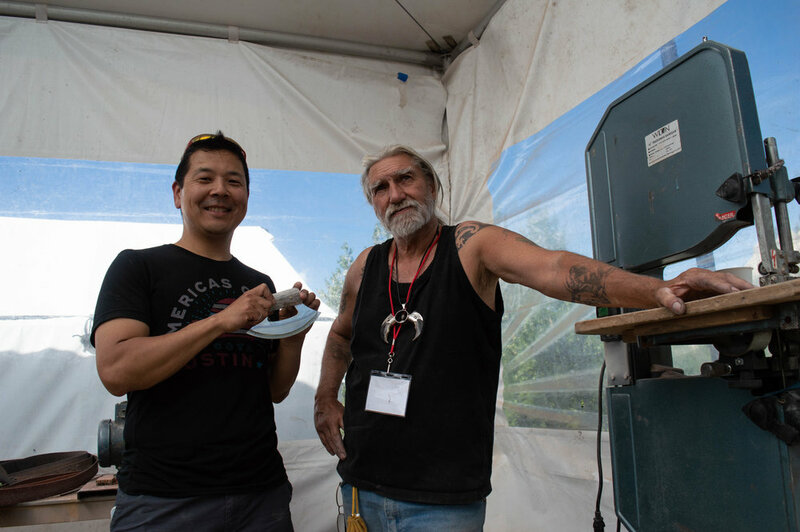 Visitors to Whitehorse’s Adäka Festival attend a knife making workshop with custom knife maker George Roberts. Roberts and his group of eager students got together to craft traditional “ulu” women’s knives. Roberts fixes a wooden handle onto an ulu. The knives Roberts and his students are making follow traditional Alaskan and Arctic styles, depending on his students’ preferences. Participants in Roberts’ workshop craft their own unique knives. 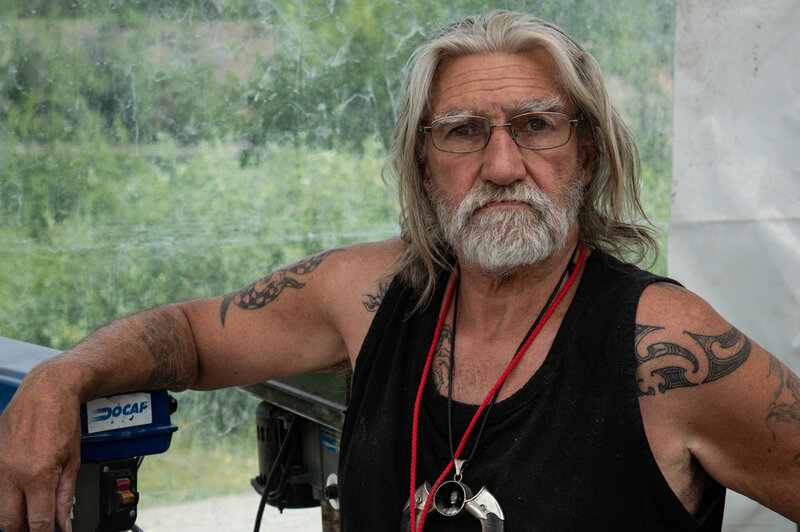 “A few years after getting started making my own knives, I started to realize that there was a need for education and teaching and getting more people involved,” he says. 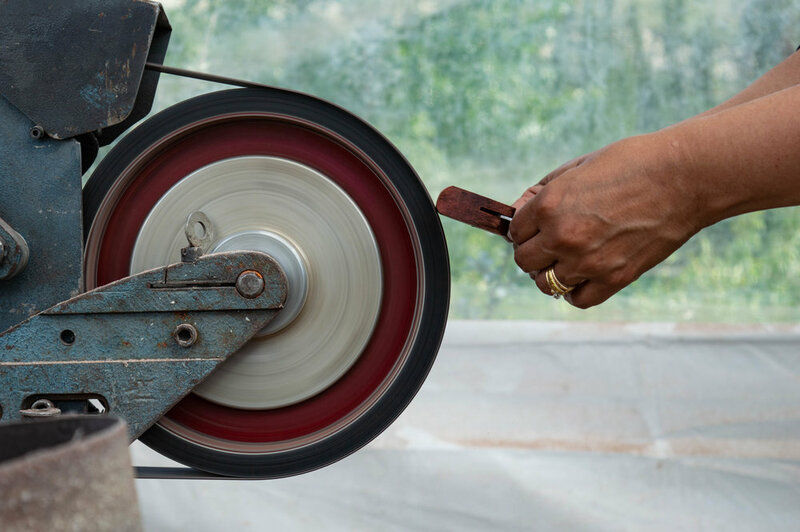 A guest refines the handle of her ulu using a large spinning wheel. Roberts says new tools and technologies have helped to make the process of crafting a knife much faster. Roberts helps one of his students attach two pieces of her knife together. Roberts hammers down the nails that will fix a wooden handle onto his student’s ulu.